Scene75 Pittsburgh Is Now Open! The #1 Entertainment Center in North America has come to Pittsburgh to save you from boredom! With games, attractions, and food trucks, there’s fun for all! Scene75 Pittsburgh is the largest indoor entertainment center in Pittsburgh at 90,000 square feet. With all this space, we’ve got room for 12 indoor attractions, 120+ arcade games, 3 food trucks, a full center bar and much more! 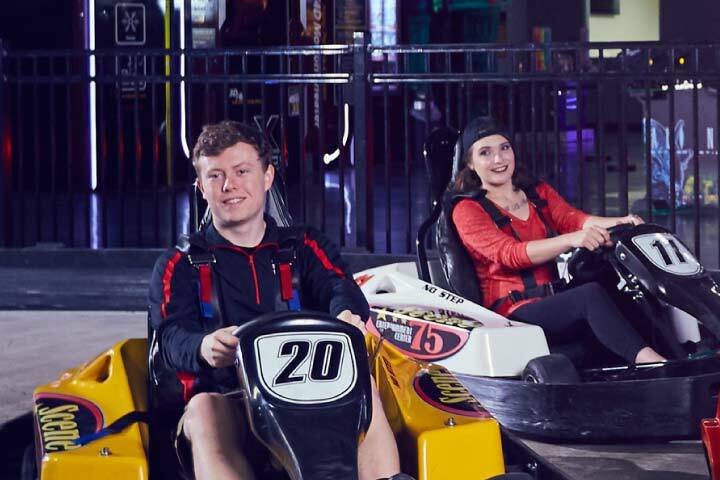 Our indoor go-karts, laser tag, arcade, bounce inflatables, mini-golf and much more are the perfect activities for friends and family all year round. Scene75 Pittsburgh officially opens Friday, November 9th, at 5pm! With 12 awesome indoor attractions, there is something for all ages to enjoy at Scene75 Pittsburgh! Go-Karts, Laser Tag, 130+ Arcade Games, Mini-Golf, Inflatables, Mini-Bowling, Virtual Reality & more! 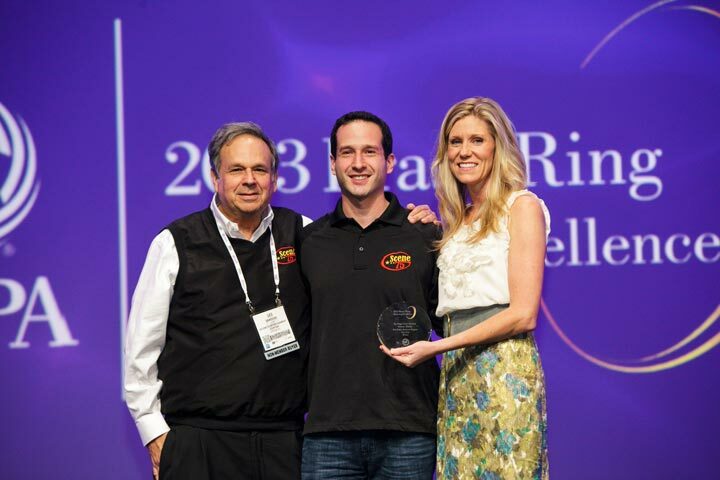 Scene75 is an award winning place to host events! We host anything you can think of from birthday parties to team building, group events and more! We take pride in giving you an experience you won’t forget! 3 food trucks. 1 decision. 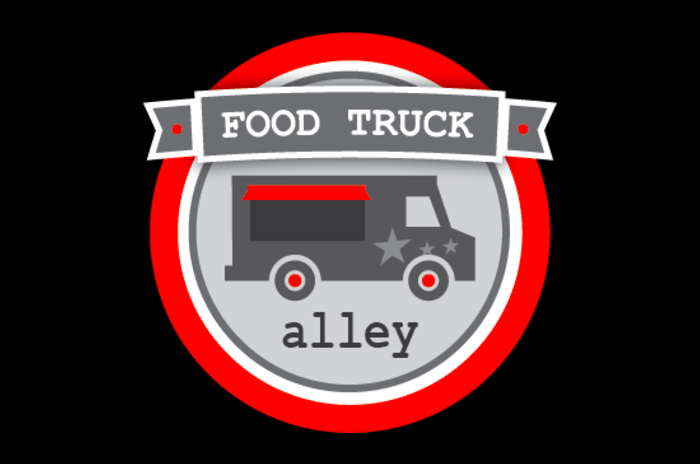 There is more to Scene75 Pittsburgh than just world-class attractions… We also offer our famous Food Truck Alley and an amazing Center Bar with beer on tap and cocktails. I LOVE to answer this question because it speaks to my personal passion! By its physical presence, Scene75 Pittsburgh will feature 120+ arcade games, 10+ world-class attractions (indoor go-karts, two-story laser tag, 4d theater, virtual reality, mini-bowling, inflatables, 3D glow mini-golf, and more). 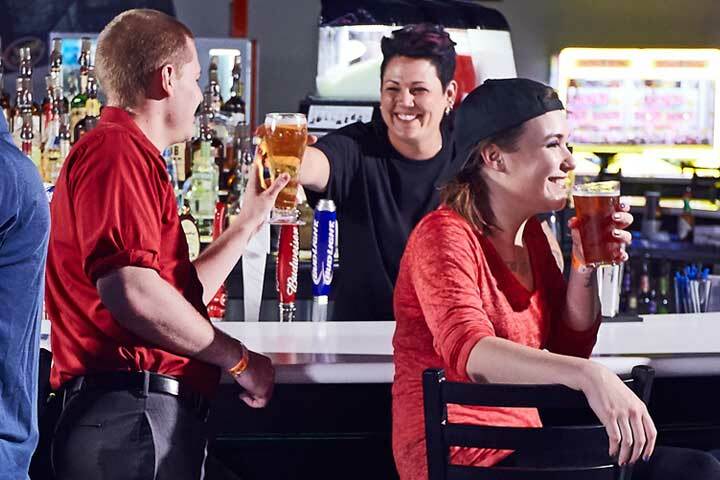 We have great food and fun drinks (for both kids and adults alike), five party/banquet rooms within a fun, and a clean setting that genuinely appeals to all ages. Each of our “soon to be” 4 locations are among the largest indoor entertainment centers in the country. By awards, Scene75 has been named the Top Family Entertainment Center in North America, the Best Place for Family Fun in Ohio, and the Best Date Night Spot in Cincinnati (among many other awards and honors). By events, we host what I believe are some of the most fun events in each city we serve. From speed dating to breakfast with santa to free indoor trick or treat to new year’s eve celebrations, we do our best to provide unique events. It is our mission to create a SCENE that our guests of all ages want and likely won’t find anywhere else. By values, Scene75 is committed and passionate about being involved in and improving our communities. The Scene75 Cares program is a personal passion and through it, we dedicate much time and energy to important initiatives. Such as, our special needs program, our learn to earn program, our educational outreach programs for middle school to college students, our Toys for Tots donation matching program, and many more. By passion, Scene75 represents a team of kind-hearted people who genuinely LOVE serving our guests and who have found that work can indeed be both fun and meaningful. Our team fully recognizes that we are TRULY nothing without your support, and we strive daily to treat each individual who enters our facility with personal care and attention. At Scene75 Pittsburgh, we love to bring unique and fun events to the community. Join us throughout the year for patio parties, tournaments, celebrity appearances, singles events, prize giveaways, costume contests, and much more. Keep an eye on our online calendar for all of our upcoming special events. Are you trying to answer some basic questions about Scene75, like how can you pay for your visit or are there any height or weight requirements for the attractions? Head to our frequently asked questions section to learn a little more. Learn More Before Your Visit! Featuring 120 of the hottest video and redemption games in our awesome arcade! Line up your putt carefully as you play in our two unique Blacklight Mini-Golf courses. Bounce into fun with inflatable slides, castles, obstacle courses, and a toddler play area! Take a ride in our 7D theater and be transported into a variety of immersive and interactive worlds. 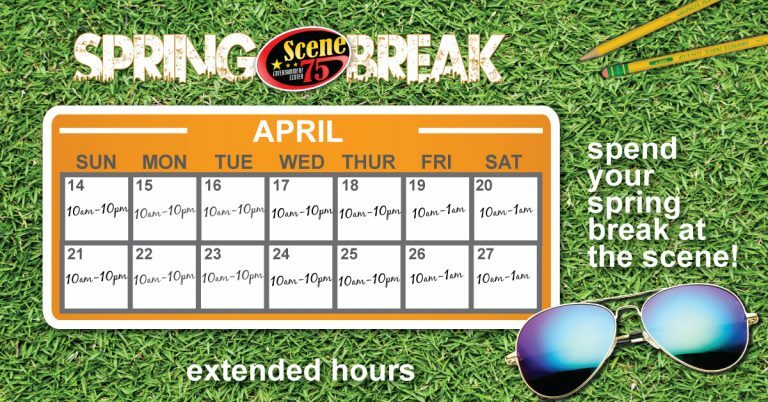 Race around the indoor go-kart track at Scene75 to get the fastest time! Challenge your friends to this futuristic battle of tag with lasers inside our custom themed backlight arena! We took all of the best parts of regular bowling, shrunk it down, and made the game even more fun! Can you break into the “Vault” with out breaking the laser sensors? Get in and out as quick as you can for a higher score! Ohio’s newest virtual reality arcade. A truly immersive experience that allows the player to feel as if they are inside the game.